This is suitable for dust seals. Monotaro is wonderful as it can be obtained cheaply. This review is about item#35220306. I am using it for plowing etc. in a field farming work with mini mini Yumbo. 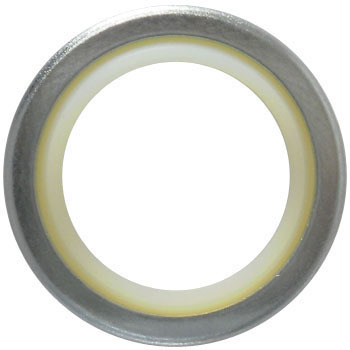 It is a dust seal which prevents dust of the hydraulic cylinder from entering this time, it was hydraulic oil leakage due to deterioration due to many years use. After checking the size in size · immediately checked by format and list, ordered · delivered. We were able to repair with a considerably small amount of money to ask the specialist to repair. This review is about item#35220184. Oil leakage repair of Yunbo's hydraulic cylinder. Monotaro is really saved. I am very satisfied without oil leakage. This review is about item#35220211. Although it is a thing purchased at the spare, I do not know because it has not been exchanged yet, but since it is made by NOK I think that the goods are wrong. This review is about item#35220272. DKI 25 37 6 9 is for swing cylinder of Komatsu PC 03-1. It's expensive if it's out of the set, but it's cheap if you buy it with roses. It is cheap and I am grateful. I will always use it. This review is about item#35220281. It is a good place for monotail to have lineup such parts that are difficult to obtain. This review is about item#35220437. It is handy because it is inexpensive compared to genuine products and performance is nearly equivalent. This review is about item#35220245. It is rich in size and very helpful. However, I am anxious to shorten the delivery date a little more. This review is about item#35220333.